This book begins with a simple observation - that just as the theatre resurfaced during the late Renaissance, so too government as we understand it today also began to appear. Their mutually entwining history was to have a profound influence on the development of the modern British stage. This volume proposes a new reading of theatre's relation to the public sphere. 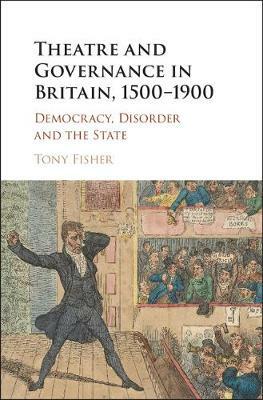 Employing a series of historical case studies drawn from the London theatre, Tony Fisher shows why the stage was of such great concern to government by offering close readings of well-known religious, moral, political, economic and legal disputes over the role, purpose and function of the stage in the 'well-ordered society'. In framing these disputes in relation to what Michel Foucault called the emerging 'art of government', this book draws out - for the first time - a full genealogy of the governmental 'discourse on the theatre'.